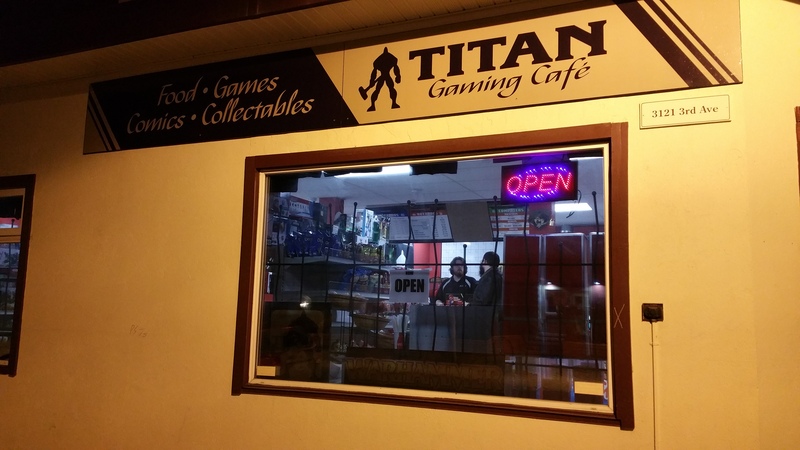 Titan’s phase 1 soft opening is Friday Nov 18th! Its been quite the wait getting the new location open, come in and see how the new place looks! 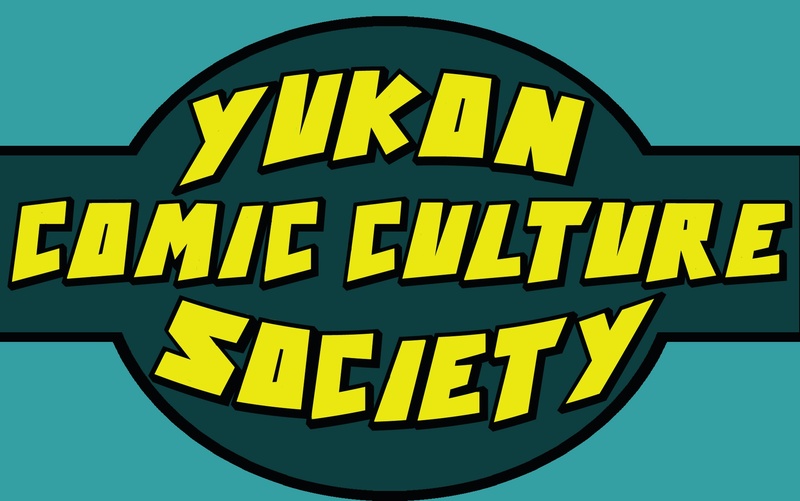 We’re now at 3121 3rd Ave, on the corner of 3rd and Steele (old Dave’s Trophy location). Phase 2 (computers, new tables & chairs) is about 2 weeks away. Phase 3 (gaming dungeon!) is about 3 weeks away. We are moving to our new location at 3121 3rd Ave. Leading up to our move starting this Sunday we are offering deals on a bunch of products in store. This week is 25% off Graphic novels, manga, and board games. This also stacks with our already clearance priced items. Great deals for you, less things we have to move locations with. We will be closed for approximately a week starting this Sunday the 30th and attempting to be back up in operation for the 8th of November. Come out to our XY Evolutions pre-release. $35 entry. You get an offical XY Evolutions pre-release pack containing a pre-made deck as well as 4 packs of XY Evolutions. Each win you get in the event gets you a prize pack at the end of the event. 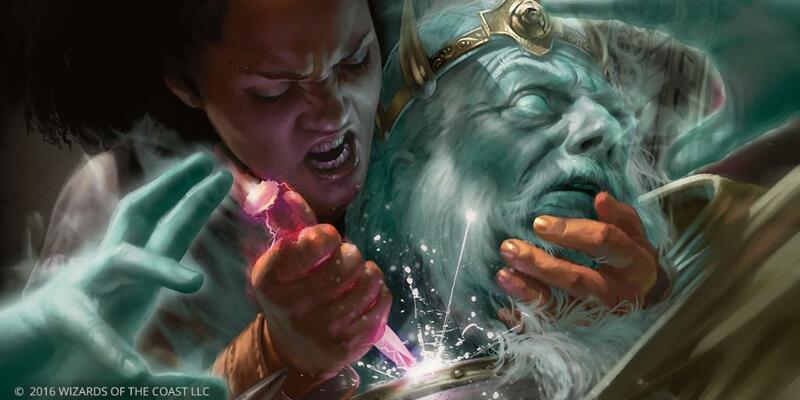 Game Day Modern: Sat Oct 22 Come battle in modern format MTG. $5 entry per player. 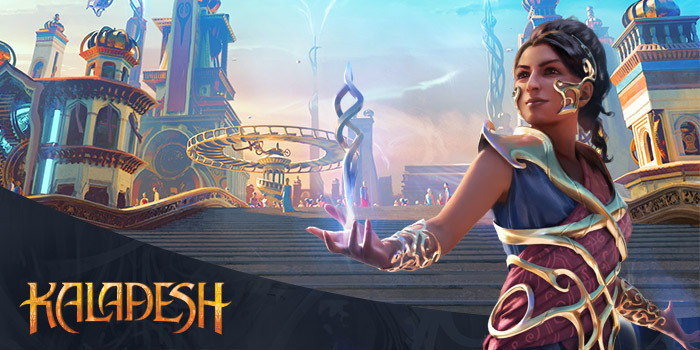 Every entrant will receive a game day promo and a pack of Kaladesh. Top 8 will get a foil full-art promo, and the eventual winner will receive the Game Day Champion playmat. Game Day Draft: Sat Oct 23 Come pick your way to victory in our Game Day draft event. $15 entry per player.Every entrant will receive a game day promo. Top 8 will get a foil full-art promo, and the eventual winner will receive the Game Day Champion playmat. Create a 12-page Comic from scratch… in just 12 hours! No experience necessary. An art marathon for mad storytellers! 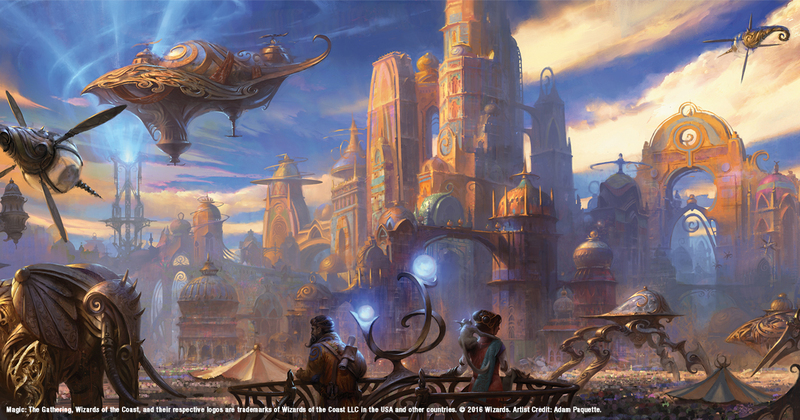 Welcome to Kaladesh! Optimism, innovation, and the spirit of creativity fuel a renaissance of innovation. Now, during the celebration of Inventors’ Fair, we invite you to invent your tomorrow…today! Saturday Aug 24 Sealed: 10AM. $30 entry beforehand, $35 at the door. Players receive 1 Kaladesh Pre-release pack containg 6 packs of Kaladesh, 1 dated foil rare (or mythic), 1 spindown life counter. Make a 40 card deck from your pool, land will be provided. Each win gets you one pack of Kaladesh at the end of the event and each tie gets your name in a draw for packs. Sunday Aug 25 Sealed: Noon. $30 entry beforehand, $35 at the door. Players receive 1 Kaladesh Pre-release pack containg 6 packs of Kaladesh, 1 dated foil rare (or mythic), 1 spindown life counter. Make a 40 card deck from your pool, land will be provided. Each win gets you one pack of Kaladesh at the end of the event and each tie gets your name in a draw for packs. Normal Prize structure plus bonuses. The last protections over Innistrad have faded with the death of Avacyn. Nahiri has summoned Emrakul to the plane, to take revenge on Sorin Markov. The Titan of Corruption and Warper of Biology twists all things living, be it plants, animals, or sentient beings, into Eldrazi Horrors. Mutations frequently occur in Emrakul’s fibrous lattice motiv. They often include tentacles, extra eyes and limbs and her bizarre collarations. The mutations include five increasing levels of corruption: distorted, disfigured, deformed, misshapen and monstrous. Some of the creatures meld together into new organisms. The few unaffected survivors, humans and native monsters alike, fight a losing battle against their mentally and physically twisted former peers. Now Innistrad’s fate rests in the hands of unlikely allies. Jace Beleren brings the Gatewatch, and Liliana Vess brings hordes of undead immune to Emrakul’s influence. We’ve moved to an earlier start time to hopefully help the numbers! Spread the word! Be fun for the community to get together and play! 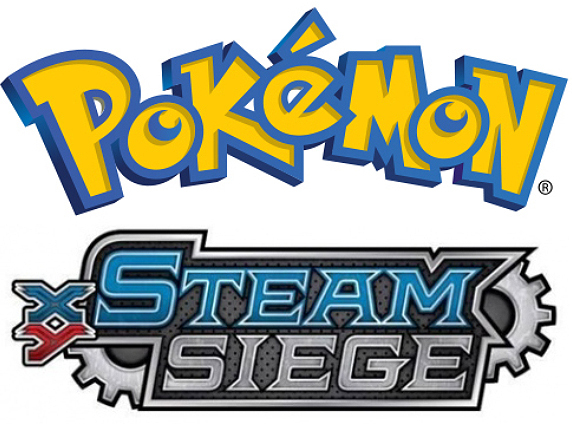 Prizes will be one pack of Steam Siege per win. Everyone wins at least one pack! Note that we are doing 2 PreReleases on the Sat, and 1 on the Sunday. 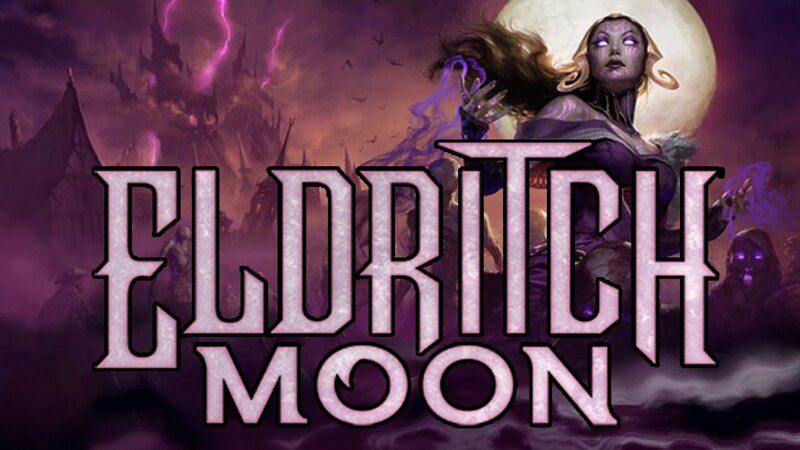 Eldritch Moon continues where Shadows over Innistrad left off. It expands its horror theme into Lovecraftian Cosmic Horror. The expansion symbol of the set stylized silhouette of Emrakul, but also resembles Liana’s crown. Madness, Transform, and Delirium are carried over from the previous set. 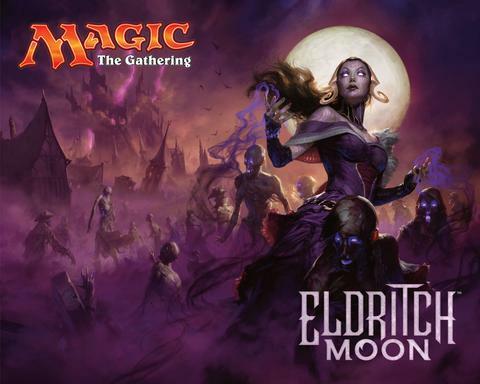 Creatures that transform in colorless Eldrazi have a Eldritch moon symbol indicator for the front side and an Emrakul symbol indicator for the back side, showing this creature has joined Emrakul’s brood. This is symbolizing one transformation step further from that shown in Innistrad, Dark Ascension, and Shadows over Innistrad, where cards transformed from Sun symbol.jpg on their front sides to Moon symbol on their back sides. Meld, a keyword action that changes the card with meld and a specific other card into one oversized card. That single card only exists on the backs of the two other cards. Whenever the melded card leaves the battlefield, both cards go, and they each turn front face up again. Emerge [cost] (You may cast this spell by sacrificing a creature and paying the emerge cost reduced by that creature’s converted mana cost). Escalate, a keyword ability appearing on modal instants and sorceries. By paying the escalate cost, additional modes may be activated.